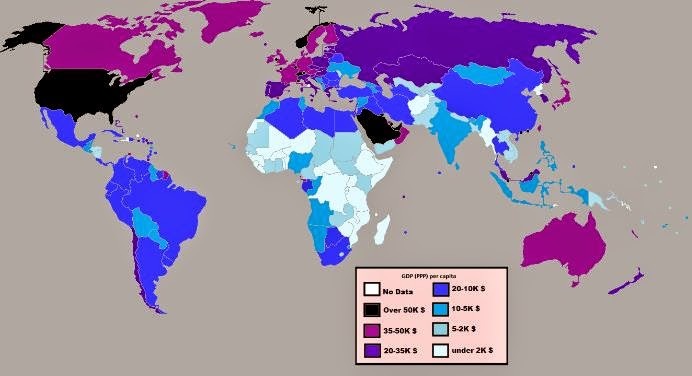 Image above: Gross Domestic Product (GDP) of countries. Many consider that the area of economic geography is an oft neglected aspect of geography courses. The following resources mapping economic factors/phenomena across the globe is very useful to learn about the variance in economic health and wealth across the globe. 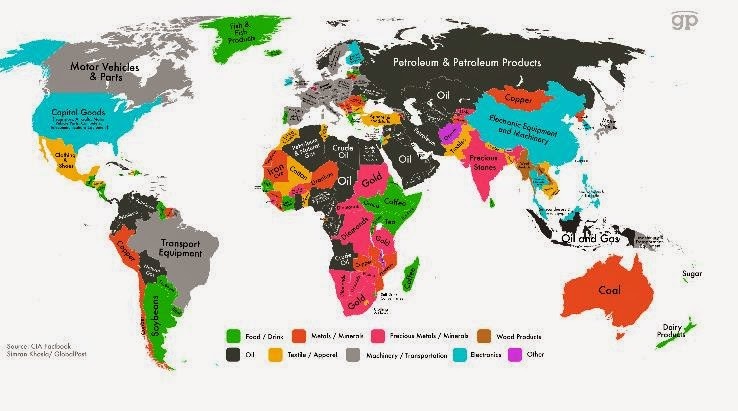 The 38 maps on the global economy showcased in this GeogSplace posting provide some surprises and certainly some great fodder for you to think about. * The 38 maps to explain the global economy is a very powerful way to show the economic geography of the globe. As the site says: "Commerce knits the modern world together in a way that nothing else quite does. Almost anything you own these days is the result of a complicated web of global interactions. And there's no better way to depict those interactions and the social and political circumstances that give rise to them than with a map or two. Some of the maps focus on the big picture while others illustrate finer details. The overall portrait that emerges is of a world that's more closely linked than ever before, but still riven by enormous geography-driven differences." * The Anthropocene - a brave new world or the precursor to the end of the Earth as we know it? Although not specifically on economic geography, the changes brought about during the Anthropocene will have significant impacts on the economic health of the Earth. The video on the site is a 3-minute journey through the last 250 years of the earths history, from the start of the Industrial Revolution to the Rio+20 Summit. The film charts the growth of humanity into a global force on the equivalent scale to major geological processes. 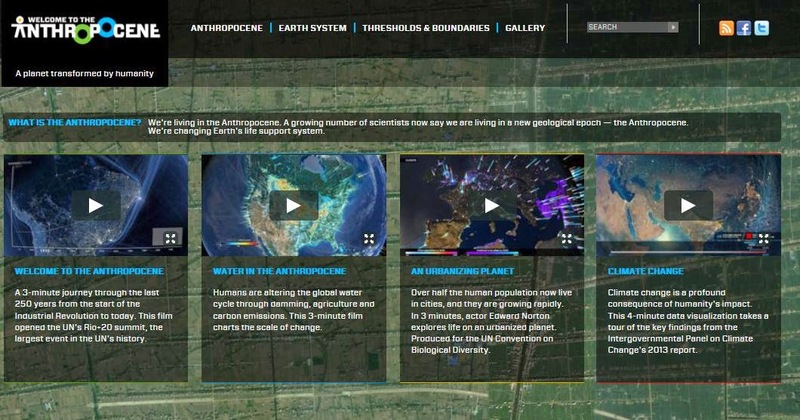 The other videos on climate change, water and urbanisation on the 'Welcome to the Anthropocene' site are certainly worth a look.